Beyond the massive nullsec battles, beyond the missions and faction warfare, EVE Online is a setting rich in lore and story. As the Invasion World Tour progresses, parts of that story are coming to the fore. New developments in the Abyss may be indicating the impending release of Precursor capital ships. Rumors spread of a war between the Triglavians, Drifters, and Sansha’s Nation that may soon spill out into conflict across New Eden. And all of that comes with only the first event under our belt. In the past, story-driven events have shaken up the personalities of Empires and brought about sweeping overhauls, like the capital changes that introduced Force Auxiliaries. But looking past the spoilers and teasers of what’s to come lies a whole other unexplored landscape: How does it happen? What kind of work goes into sixteen years of unfolding story, and how it gets presented to the players? 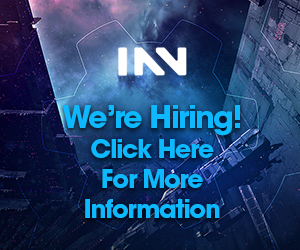 INN: I wanted to take a moment and let you introduce yourself to the readers and give them an idea of what you do with regard to the unfolding story of EVE Online. CCP Delegate Zero (DZ): I’m Nick Bardsley, CCP Delegate Zero. I’m in the game design department in the EVE Online studio in Reykjavik. My focus is narrative design, working within a group overseen by the Creative Director of EVE Online, CCP Burger. And I work with the creative production and the video side of things and am basically responsible for driving the overarching narrative of the EVE Online storyline so that the world itself has a background storyline that provides something for the players who are interested in that kind of thing at every level. There are several levels of interest in that sort of storyline, we have found. It’s something to grip onto that makes them feel like they’re part of a world that’s alive, narratively. There’s a background world that’s composed of these empires and factions that predate capsuleers, but it’s something that players, as capsuleers, can interact with. One of the big focuses of EVE Online is that we have a focus on players creating their own stories, but it’s a bit of a big problem if the sandbox doesn’t have any actual sand in it. INN: Right. And how many people work on the story of EVE Online—the sand, as you put it? DZ: That’s an interesting question. Directly, I would say it’s in the region of four people, but other people in the studio touch on it, particularly in game design. It’s increasingly an element of future design, the concepting of new features. INN: So the story and the features are developed in tandem? DZ: As much as possible, yes. DZ: Yeah. It does go both ways. The Abyssal Deadspace feature is a great example of that. So, some of the ideas—it’s a tough one to talk about, unfortunately, but some of the game play drives, the sorts of game play that game design wanted to see introduced to the EVE Online ecosystem shifted as we talked about ‘well, how could this be introduced into the world of EVE, thematically?’ And that went backwards and forwards in this looping iteration for quite a long time, and the seeds of that feature go back.. If you go from the release of Abyssal Deadspace, the seeds of that feature went back well over a year, both in terms of game play design exploration and thematic stuff. Possibly, the thematic stuff, even further back in different versions. And that’s kind of typical. Abyssal Deadspace is a big example of it, but it’s a good example. INN: A lot of the elements that we see now—things like Abyssal Deadspace, the Triglavians, the Drifters—appear to tie into elements that go back to the early days of the game. Is a lot of that things that were planned, or just taking advantage of hooks that were left? DZ: It’s almost all of it is taking advantage of the hooks that are left, ambient, in the world of EVE. There are hooks, and there are threads that are left to be taken advantage of by us as designers, both gameplay designers and story designers, narrative designers, and players, of course. I would say it’s about 80/20. Eighty percent of it is taking advantage of those hooks and threads lying around. But twenty percent of it is back in the day, it was foreseen that EVE would be around a long time, and there was this geology of the storyline, background geology laid down for people to take advantage of. There’s an old joke—and this tells you how old the joke is, because EVE is sixteen years old now—about there being a five year plan, kept in a safe. There was never any five year or ten year plan. But I think the interesting thing about EVE’s storyline, and I think this is true of most storylines that have real depth, or the potential for real depth, is that it allows for a natural evolution and progression. You can take advantage of it when you need to, at any given time. INN: As you bring up, EVE’s been running for sixteen years, there’s a lot of story built in, a lot of geology that went into it. Over that time, have there needed to be retcons, and if so, how have you dealt with that? DZ: Yeah, retcons in any game or IP, whatever type of game or world it is, maybe it’s just a type of narrative world, like a book series, are a very touchy subject. The funny thing about EVE is that it’s had pretty few explicit retcons in its time. It’s had a few, here and there. We had a period just as I was joining CCP where there were a few chronicles that were retconned out. Funnily enough, one of the ones that I remember clearly was to do with changes to the map. It was problematic to deal with the fact that this chronicle talked about this system belonging to X empire, and it would seem that that would be silly. But actually, the major retcons, the IP that sort of is almost notorious for retconning—and I don’t say this to have a pop at the IP, because it’s a great IP—is Warhammer 40k. It’s the one that’s kind of famous for periodic retconning. But we’ve never really had to do anything on the kind of scale that, for example, Games Workshop has, or some other IPs. Mostly it’s been little tweaks. One thing we get asked about quite a lot is the novels, but it’s never really seemed to me that there needs to be retcons to deal with those. It’s more, as a storyteller dealing with the world of EVE, I’m quite a big believer in the idea of the unreliable narrator. There are many, many unreliable narrators when it comes to the world of EVE. Hundreds. Thousands. INN: Many of the elements that we see in chronicles, they’re presented from the perspective of someone in New Eden, so their knowledge is limited. DZ: Yeah, that point of view. Yeah, that’s right. So, for instance, the Empyrean Age, and Templar One, its direct sequel, there’s a character Grious. There are things that that character tells you that are only revealed by that character. It’s a single source. Now is that character telling the truth or not? You can think about that and tell yourself whether that character is to be trusted or not. So I think that’s important. The interesting thing I’ve found is that the IP, the world is diverse and flexible enough that you don’t need to do major retcons. Occasionally, you find yourself in a situation where you have to say well, this thing about the world that we wrote—maybe it was an EVElopedia article back in the day or maybe it was a paragraph in a chronicle back in the day—this doesn’t make any sense, and this is too concrete and something that people in the world would just know. I mean, ok, we’re going to have to retcon that, but it’s actually not a thing we’ve found ourselves doing much. INN: That actually seems a pretty good approach: using the unreliable narrator as your voice. With the story that has been developing the most recent example of this is the Triglavians and whatever is being constructed in the Abyss we often see the elements that are coming teased out in little bits and pieces like a trail of breadcrumbs. How do you plan out how to do the breadcrumbs? INN: In terms of things like when the Triglavians were first being hinted at, we had the video segments that were being recovered. When the Drifters were first being hinted at, we had things like Caroline’s Star happening, and the shattered wormholes. With each little bit, there are little nuggets of teaser, it seems that go into things well in advance. How do you decide how to do that, which elements to tease, and how to put that in a place where the players will stumble across it? DZ: Right. With the Drifters and the Triglavians, what was important with those two new factions was to understand internally the sort of deep background and deep history of those factions. The Drifters are a good case, because a lot of this now is basically known. We decided well before they came into the game or were even hinted at, what the history of the Drifters was, who they were, where they came from. And I mean now it’s well understood that whilst not everything about the Drifters is actually known yet, it’s well understood that the Drifters are a development, that is to say a splinter out of, a branch out of the Sleepers, and that the Sleepers themselves were the stasis people from the Second Jove Empire. The chronicle Inheritance, which drew on material that was put together by a variety of people, regardless of the fact that I wrote it, kind of made that explicit. But by the time Inheritance came out, people had kind of joined those dots. It’s always gratifying to see the players join dots together. But it’s very important, internally, to understand facts about a faction like that, even if those facts never get out into the wild. The same with the Triglavians: their deep background is written out and there is a document that exists that lays out who they are and where they came from. The nature of their civilization, that kind of thing. Why they’re in the Abyss. What their motivations might be. And we need to know that kind of thing to understand where they’re going, or where we’re going with them and where we can go with them. INN: That sort of work also goes into things like the Triglavian language? The glyphs, and the particular construction and syntax that they use? DZ: Yes. So there’s a couple of things there. Some of the players that are deeply interested in this have called it ‘the rule of three’, or at least the importance of threes is pretty understood by people right now, which it should be. And that was a defining characteristic that we came up with. And that was really interesting from a creative point of view, because it informed the writing, but it also profoundly informed the aesthetic of the ships, and some of their infrastructure such as the pylons. So there was this aspect of ‘three’ that we tied into that inspired one of our UX designers to come up with the Triglavian script, or font, which was great. I think that added a lot to the experience for people when we did the run of clues that led up, almost like an ARG, to the release of Abyssal Deadspace. Of course, we’re doing something similar at the moment with the next steps. INN: Right, and that’s taking the form of these video clips that are being distributed via the in-game mail system. DZ: Yeah. About which I won’t say anything more, but that much is clearly known. INN: Have there been, for lack of a better terms, breadcrumbs that haven’t been found? DZ: That’s an interesting question. With regard to Triglavians and Drifters, or…? 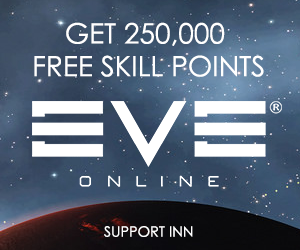 INN: In general. Things that you put in thinking, ‘Let’s see how they react to this,’ and then just… nobody found it? DZ: Hmm. I don’t think there are any that remain completely undiscovered. There’s one or two things about the Triglavians and the Drifters and maybe one or two things about the Society [of Conscious Thought] and the Sisters [of EVE] that have not been fully… people haven’t theorized up to the correct guesses, but it’s not that they haven’t found breadcrumbs. One of the things that was interesting was that the project discovery, when it switched over from the protein atlas to the exoplanets, we put in a little bit of a treasure hunt kind of thing, like there were clues that connected a trail from the monument to three or four sites. And if you found all those sites, you could put together a blueprint with the resources you could find, and then you could make an implant. Curiously, because of the nature of the Hoboleaks phenomenon, they managed to get to one of the sites without having to solve one of the clues. And it had never really occurred to them what that clue was. I had a discussion with a couple of people who solved it, and it had just never occurred to them that the clues were there in the items. But I have a-it’s not a love-hate relationship, from my view, it’s a hate-hate relationship [laughing], but I don’t say that with any heat. It is what it is. INN: I imagine it’s more the feeling of a creator who wants his creation sampled in the way intended. DZ: Yeah, a little bit. I don’t blame people, because people consume this sort of narrative content in their own way. So it would be easy for me to think ‘oh, well, they’re spoiling it for themselves’, but it’s actually a very small number of people who do this. And in fact the people the people who dig into it through Hoboleaks or wherever it may be enjoy it, and generate a certain amount of hype, or excitement and enthusiasm around it, so it’s definitely not all bad. It’s interesting, and it maybe has its downsides, but it also has its upsides. Actually, funnily enough, some of the ‘how can we give out puzzles and clues?’ we did for Abyssal Deadspace came out of ‘well, can we get around the Hoboleaks effect?’ So there are upsides and downsides. INN: Have there been any—you talk about people solving these things without necessarily even realizing the clues are there—have there been any instances where the players who dig into these things, not necessarily the Hoboleaks folks, but some groups are extremely deeply into the lore and story and what’s going on. Have there been any instances where those players have come up with ideas and theories about things where you’ll say ‘wow, we didn’t even think about that, that’s a great idea, let’s see where it goes’? DZ: Yes. It’s happened many times. Not just with the really mysterious factions like the Drifters and the Jove and the Triglavians. It’s also happened many times over the years with things that we’ve done with the pillars of the EVE IP. Sometimes we forget, and it’s easy to forget, but I like to emphasize that the pillars of the EVE IP are the four empires, the sub-factions that come off them, and the pirates as well. Pirates are very often forgotten. People have come up with interesting guesses and theories, and ideas around those factions that we’ve used. Many times, that’s happened. And it’s certainly happened with the Drifters and the Triglavians. Rhavas, who I don’t know if he still does, but used to do a good blog that went into deep dives on the lore, he speculated, and this was a weird coincidence where we’d already decided to do this but… we decided to do it a few days before he publically speculated. It was a thing about the Caroline’s Star system, W-744P I think it is, from memory, might have got that wrong. [It’s W477-P, so pretty good for an extemporaneous comment. -Ed.] I wrote down on the internal wiki ‘Dyson swarm around star’. Because, as you probably know, a Dyson sphere is an almost impossible idea, but a Dyson swarm is much more feasible. And then a few days later he put up a blog speculating that it had been a Dyson sphere or something like a Dyson swarm there. So, it’s interesting how often some players are on the same wavelength. But the counter to that is that it’s very often a result of the shotgun effect, where there’s this brain trust of thousands of players or hundreds of players, depending on what level of enthusiasm we’re talking about. And very often players will happen on the right theory by chance. I’ve seen very close to the correct answer who the Drifters actually are, fully, stated once or twice. I mean, I’m not going to say what it is, and there are many many guesses and speculations and theories out there. So that happens a lot. But your original question really was do we, as creatives at CCP see player ideas and say ‘oh, that’s interesting, let’s use that’? And yeah, that happens all the time. And I think that it’s important that it happens. It adds to the conversation in a positive way. INN: On a somewhat related note, as you’ve said, the NPC storyline, the events that form the foundation of EVE, these are the sand in the sandbox. While you’ve got players throughout the game—it’s not just nullsec, but in all parts of the game—telling their own stories and crafting their own narratives about what’s going on in New Eden, for a lot of players these things feel disconnected. Would you like to see them integrated more? Or do you think there’s actually a lot more connection there than maybe those players realize? DZ: That’s an interesting way of framing that. I would like to see more. I think within the constraints we have—and we have resource constraints, etc, people, time—we’re always interested in there being more interconnectedness, more signs in the client, more signs in the game world itself that the game world the players experience when they play the game of story, and a living world around them. I do actually think there is more there than is sometimes realized by people. But equally, I can kind of understand why people—this is a thing that has waxed and waned over the history of EVE Online, for various reasons. A lot of it’s to do with the fact that it’s a sixteen year old game, and there’ve been differences of emphasis and approach to telling stories in EVE, and with EVE. It’s been almost to the extreme of ‘well, we can just rely on the players’, to be honest, in the past. I think you can see signs of that. And then the not quite extreme, call it an extreme, a very high point of a lot of material constantly coming out of the in-world news coming out, a lot of missions being added to the game with periodic releases back in the day. But that’s really… people who expect that sort of thing to come back any time soon are probably going to be disappointed. Because that’s not really the way the system, multiplayer games, are going these days. Mostly it is about environmental storytelling, getting a sense of a living world, providing that sense through fiction, supporting fiction. That fiction is directly part of the world, like ‘this is a news story that’s being broadcasted by a news organization in the world’. That’s the Scope video, that’s sort of the highest form we do, I would say. That’s there, but of course, there’s a bandwidth issue. I think EVE has oscillated between two extremes, quite a lot. A lot more than is maybe even apparent, because people come in and out, understandably over the lifetime of a game that’s been around sixteen years. And my personal idea is to find a sweet spot where we can convey that there is a living world. And that you are going to have your fantasy. You know, you play a science fiction game, science fiction fantasy, you don’t want it to be dead, you want it to be a living science fiction world. There are ways to support that fantasy that don’t fall into the sort of traps, really, of going to one extreme or another, which I don’t think are sustainable. Neither extreme is sustainable over a long period of time, or desirable, arguably. Tomorrow, Part 2 of Crafting the Story with CCP Delegate Zero.